…And more of my all-time favorite activities swing into full effect during this season, and that’s the numerous outdoor music festivals and concerts that emerge on the scene. From as far west as the Santa Monica beaches to as far east as the Silverlake foothills, Los Angeles vibrantly buzzes with the sound of the live music that radiates within its streets. 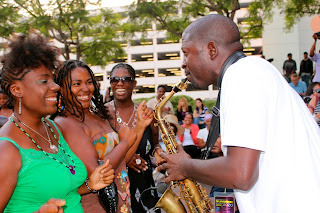 This year I discovered another pretty awesome seasonal music event, when I was invited to see DJ Ceazs and GRAMMY-nominated Mike Phillips perform at the Arts Brookfield’s 4th annual “Summer on the Plaza”free outdoor concert series. 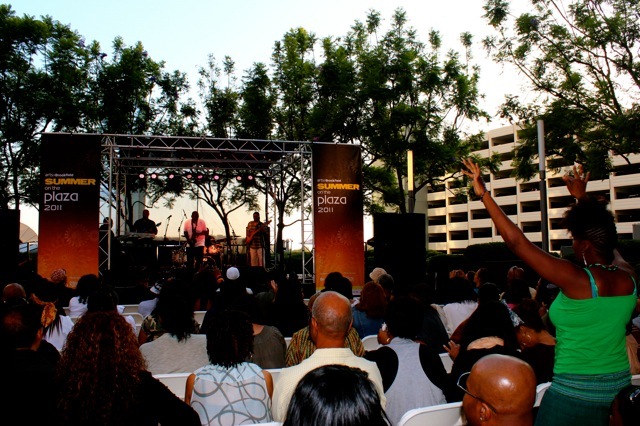 For three consecutive Friday evenings in July, the series takes over the downtown FIGat7th plaza, showcasing local DJs and internationally renowned jazz and R&B recording artists. The Border Grill restaurant sets up an area to grab drinks (alcoholic and non-alcoholic) and to order its signature appetizers. The vibe is soulfully laid-back and casually chill, with just the right amount of easygoing exhilaration to get you swaying to the music. I really appreciate just how intimate the “Summer on the Plaza” set-up is. There are no nightmarishly congested packs of crowds swarming around you or lengthy lines in the food/beverage area. There are simply just plenty of optimal places to snag prime views of the stage and enjoy the music, from chairs provided by Arts Brookfield, to the grassy hill adjacent to the plaza. And of course, the performers themselves are incredibly remarkable. I didn’t attend the first night, but I’ve seen Vikter Duplaix sets before, and he truly gets down on the 1s and 2s. And Mike Phillips didn’t just jam onstage; he captivatingly worked his way in and out of the crowds (check out the video clips below). It seems that the intimate setting gives the artists a unique opportunity to connect with us audience members for several hours. Unfortunately, I suppose that all good things must come to an end, so DJ Pelau and South African singer Lira will close out the series this upcoming Friday, July 29th. I highly recommend attending; it’s free, it’s great music and it’s good, summer vibes. And if you can’t make it this Friday, definitely look out for the concert series next year and for other upcoming Arts Brookfield events throughout 2011. Follow them on Twitter at @artsBrookfield to see what’s on their calendar. - Best way to enjoy the concert? Gather a few good friends, arrive around 5:30pm when doors open, grab a margarita and a poblano quesadilla, head to the hill just a few feet from the rows of chairs, throw down your blanket and get ready for an evening of live music, tasty “street” food and your favorite company. 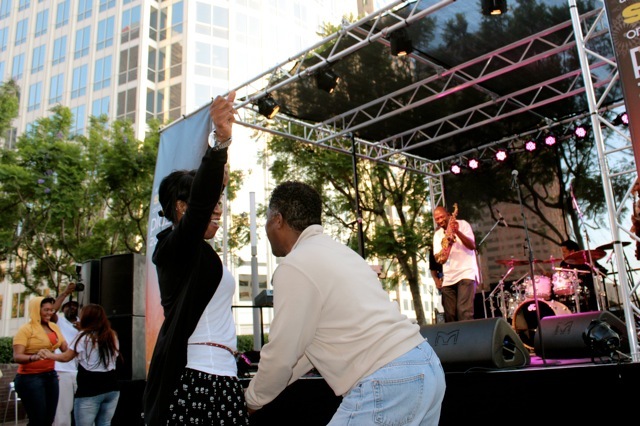 - There are several plazas on the corner of 7th and Figueroa Street; “Summer on the Plaza” is located on the southwest corner coined FIGat7th. - Parking in the plaza is available for $5; I also found parking off of Fig for $4. - Who should attend: Great for dates, groups of buddies or even to go by yourself. Mike Phillips takes his music to the crowds...literally! Shout out to Tulani for the amazing photos once again! Follow her work at @MS2LANY! One of my all-time favorite restaurants in Westwood is Napa Valley Grille. It’s an upscale yet animated restaurant that seems to always attract a diverse crowd, ranging from the conservative academic types to business professionals; from longtime local residents to curious roaming tourists; from wine connoisseurs to food aficionados, and everything in between. And with amazing California-inspired seasonal fare and top-notch wines, it’s no surprise that so many people like myself absolutely adore this restaurant. Last month, I found but yet even another reason to continue my love affair with Napa Valley Grille: I discovered its dynamic Westwood LIVE series* festivities. It transformed itself into a bubbling social soiree, complete with a wooden barrel wine tasting station and an interactive bruschetta-building installation close to the entrance, and the “med-student-by-day-DJ-by-night” DJ AJA spinning music on the outdoor patio. Inquisitive bystanders like myself vigilantly watched Chef Joseph Gillard (pictured below) create mini-bruschetta work of arts, incorporating plenty of fresh, inventive toppings, such as a zesty fava bean spread and a rich garlic aoli, pictured below. Adjacent to this station were complimentary wine tastings for two Sauvignon Blancs and two Cabernet Sauvignons from the Napa region. Happy hour also went all night long, from 3 p.m.-7 p.m. and then 9 p.m.-12 a.m., featuring $4-$8 for beer, wine, cocktails and appetizers. Napa Valley Grille will be concocting even more alluring activities and culinary adventures to enjoy for the next Westwood LIVE series installation this upcoming Thursday evening. Just like last month, there will be complimentary wine tastings, a DJ on the outdoor patio and an extended happy hour. But this time around, instead of a bruschetta-building station, Chef Gillard will give us a glimpse into his Midwestern roots by offering a $5 Beef Short Rib Sliders Duo (pictured bottom right) and PBR (Pabst Blue Ribbon) beer combo. So head over to Napa Valley Grille to bask in this lovely 75-degree California summer weather on its outdoor patio, all while hearing lively music and drinking complimentary wines. 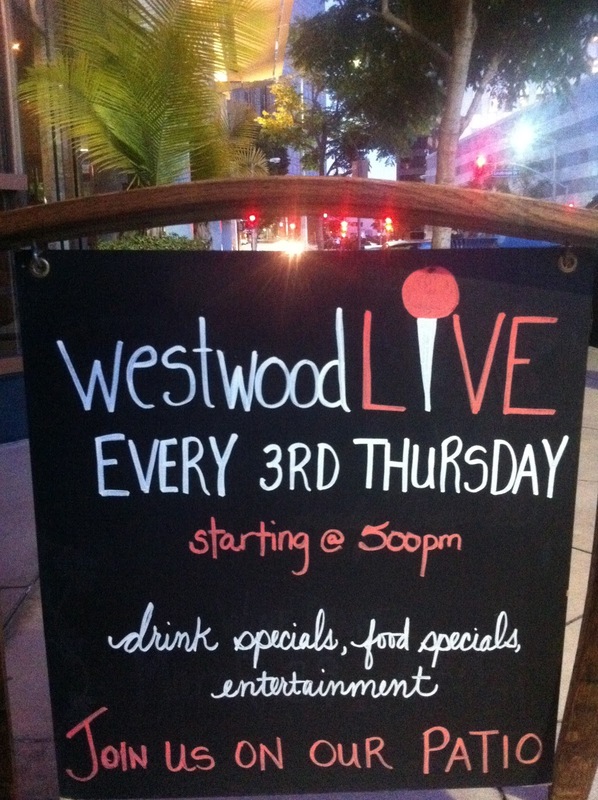 It’s the perfect place to start – or to finish – your Westwood LIVE escapade every third Thursday of the month. - *So what is the Westwood LIVE series? In a nutshell, this non-profit series falls features a community of restaurants, art galleries, shops and bars offering discounts, music and specials throughout the night. Visitors are highly encouraged to walk around and to frequent as many of the participating places as possible. It’s similar to downtown’s Artwalk, but it’s more “Westside” (think a little more upscale… a lot more subdued). - The happy hour menu has a lot of tasty appetizers. My top picks would be the Chopped Kale Salad ($4), the Turkey Meatballs ($4), the Pan Roasted Local Padron Peppers ($4) and the Garlic herb Fries ($4). - Don’t skip dessert! The restaurant recently added seven new summer-inspired desserts, including a decadent Iced Mocha Panna Cotta (pictured below) and a to-die-for Coconut Lemon Meringue Tart. - Aside from the superior wines and the first-class dishes, I’ve fallen madly in love with the restaurant’s endearing ambiance. There are so many unique little nooks and crannies to dine in; it’s always fun to see where you’ll end up. Update: Zumba Classes have started once again for 2012! Going now, April 2012 - Summer 2012! It seems like this past 4th of July weekend officially marked the moment when we kissed those dreary June gloom days goodbye and entered into the glorious season of summer. And now that fiery hot days are on the radar, it’s time to dust off the flip-flops. Break out the bathing suits. Rock the itty-bitty shorts. Wear as minimal clothing as we can possibly get away with. But before sporting any dress that’s more than an inch above my knees, I know I need to tone up my legs… and my abs, and my arms. After drinking as many vodka-infused cocktails in sight as possible to keep warm during LA’s artic winter, I’ve successfully managed to bulge out of most of my clothes, including my leggings. So, it’s time for some serious workout sessions, but the question becomes: where to go and how to exercise? The good news is that I recently found an out-of-the-box way to get moving and to get ready for the summer. 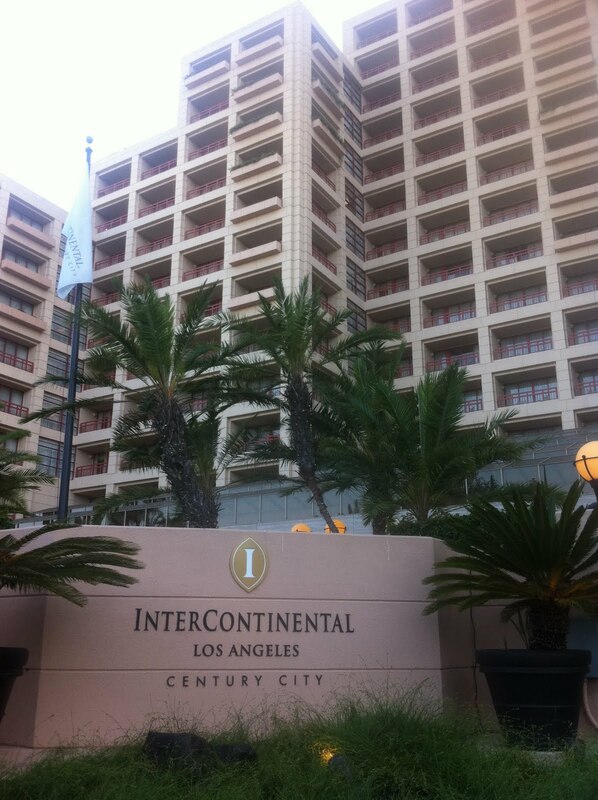 InterContinental Los Angeles Century City offers an invigorating Zumba class high in the sky, on top of the hotel’s rooftop helipad. Instructor Rita Ashton takes the class, which typically consists of a handful of students, through a variety of Latin-inspired dances. 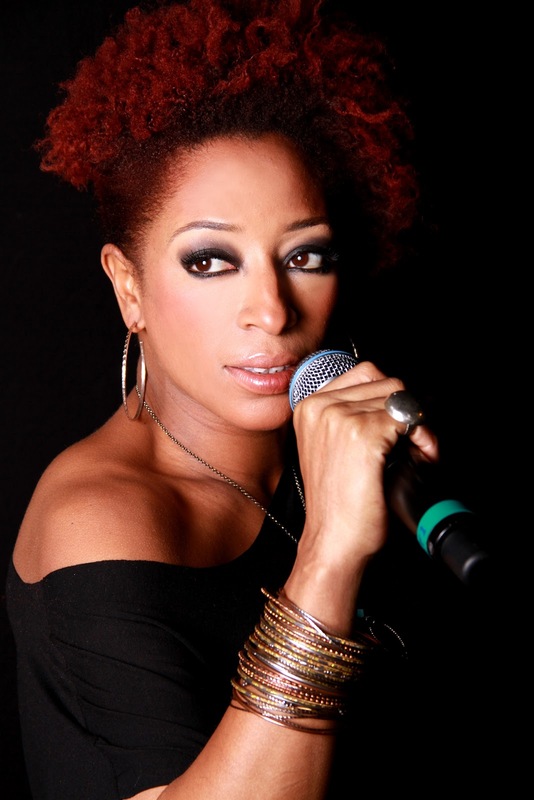 Set to catchy, exotic international tunes, everyone imitates the basic salsa, merengue and cumbia steps that she demonstrates. The entire experience is pretty spectacular. You have views of almost all of Los Angeles, stretching from the Pacific Ocean, to the Hollywood Hills and east towards downtown. Talk about awe-inspiring motivation. I barely even remembered I was exercising; I was too busy trying to point out all of the landmarks I could see, like the Griffith Observatory on my first visit up. Aside from the view, being 18 stories off the ground also affords a pleasant breeze that cools and refreshes. The crisp, open air feels a lot better than being stuck in a hot, stuffy gym surrounded by other hot, clammy bodies. And of course, the class itself is superb. Rita starts out slow, so it doesn’t even feel like you’re exerting too much energy. But about 20 minutes into the class, it hits you that Zumba really is work. Fortunately, the small class size allows her to pay attention to everyone's pace, so she adjusts the workout accordingly. Yes, there are gym memberships and yes, this city is swarming with fantastic dance studios, but for a fun, summer-inspired way to prep for upcoming pool parties and sizzling beach days, I say the InterContinental’s heli-pad Zumba class is the way to go! - Classes are held Tuesdays and Thursdays, 5:30-6:30pm and have a 15-person maximum per class. The $15 class fee for non-hotel guests not only gets you into the Zumba class; it also grants you access to the hotel spa’s sauna, steam room, free valet parking and complimentary fruit, water and towels. An extra $25 provides you with access to the hotel pool, jacuzzi and gym (there’s no charge to the class or pool if you’re already staying at the hotel). - Classes will go until September! - On Tuesday mornings, there are sunrise yoga classes on the helipad, from 7-8am. - The InterContinental also has a great hotel lobby bar. Stick around afterwards for cocktails and DJ sets. Her aura is as sweet as honey, her voice, as smooth as silk. Filled with rich melodies, warm tones and intricate arrangements, her soul-infused jazz music is the perfect backdrop for life – for chilled-out summer cookouts, for lazy Sunday afternoons… for a day alone, for an adventurous night filled with friends. 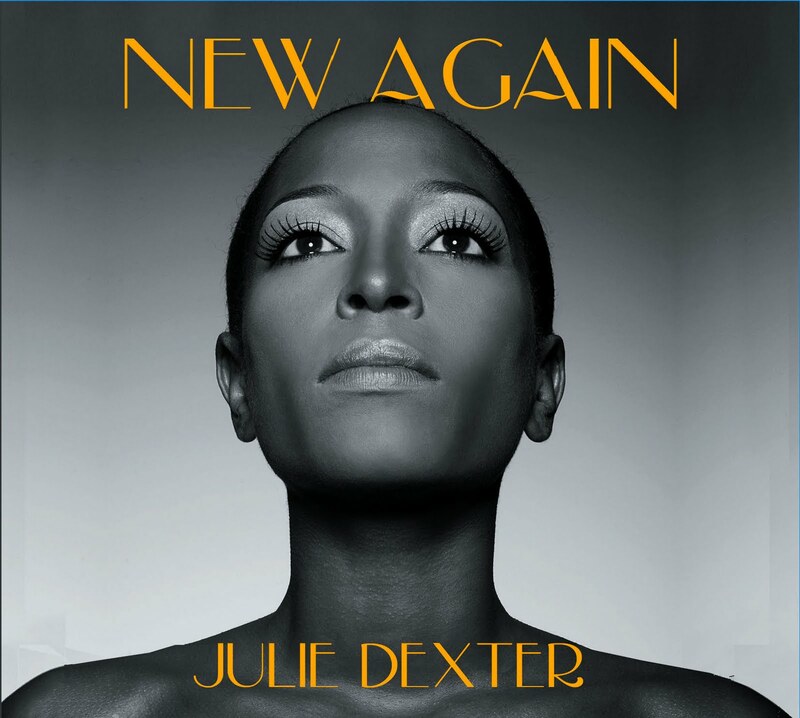 If you don’t know about singer/songwriter Julie Dexter, the self-proclaimed “soul sista from England with Jamaican roots who loves jazz,” you need to find out about her quickly! This Birmingham, UK-native who now resides in Atlanta has brought an element of sophisticated refinement to the neo-soul genre. With six albums under belt, a new album entitled New Again and an international tour underway, she has demonstrated her steadfastness in the music game with every move she makes. I recently interviewed her for a special Nu-Soul Mag exclusive. I love having the chance to speak one-on-one with artists because it gives us the chance to get to know them more personally. Miss Wilson: Are you going to be in Los Angeles anytime soon? 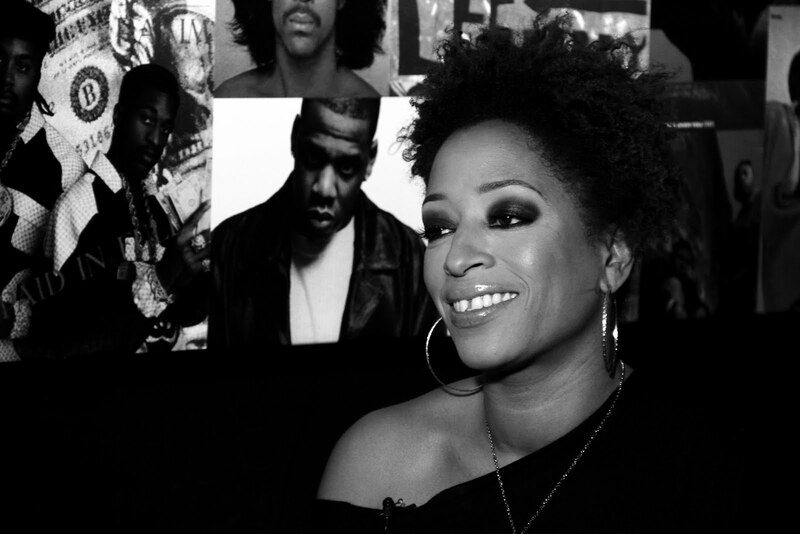 Julie Dexter: I’m trying to get to L.A., girl! I’m definitely working on my L.A. game again, because it’s definitely a place where I like to be. The scene is so vibrant. It’s just so graceful. I feel like myself. Every time I’ve come, I’ve had a great experience and great shows. It’s just where all the happening people are. A lot of people are friends of people I know and who respect me and I respect their songs. So I’m definitely trying to get back to LA soon. Keep your ears to the ground and keep your eyes on the website, and hopefully it will be sooner than later. Miss Wilson: We’re actually based in Los Angeles and I have a blog on where to eat, drink and be merry in LA, so do you have a favorite place when you’re out here, where you like to dine or hang out – a place where you just have to go see? Miss Wilson: What about in Atlanta, do you have a favorite place there? 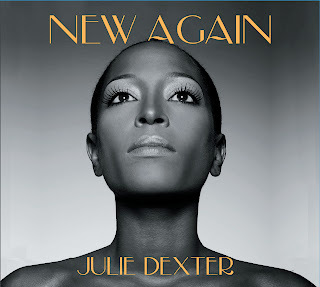 Julie Dexter: You know what I like about Atlanta? I like that even though they’ve changed somewhat over the years, they have a lot of the best free jazz festivals. You see some amazing people for free in the park, with a picnic and your family. You bring out food and drinks, and you sit there and you watch performers like Esperanza Spaulding, Dianne Reeves. I mean you name it; they have some amazing people and festivals, and you can bring your whole family. I love that. There aren’t too many events like that in England. They have those events, but they’re not free. It’s a whole other experience when it’s free because one, more people come, and two, you could bring your kids and expose them to artists that you might not ever get to see because buying tickets for your whole family would be like, ‘oh no, we can’t afford it.’ Atlanta’s got the free live festivals going on and I just love the fact that I’m able to take my family to these kind of events. Before I rant and rave about how splendid Family Fish Market #2’s lunch and dinner specials are, I’m going to take a moment to “keep it real.” I’ll be candid. The focus here is on the food, not on this tiny Inglewood store’s physical appearance. Clean and tidy, yes, but there’s nothing glamorous in any sense of the word about the space. Just a handful of plain folding chairs, a display case of raw fish and a lonely gumball machine await you, along with the owners, who always appear calmly ready to take your order. So I’m just saying – when you pull into the 1300 Centinela Shopping complex and enter this one-room market, don’t expect bells and whistles to go off upon your arrival. Sorry, no shooting stars and cannons this time. It’s just a straight-forward kind of spot for really good fried fish at really low price points. Now let’s dive into the good stuff. The lunch and dinner specials come with soooo much food for soooo little money. A whopping $5.45 for the lunch special gets you three pieces of fried fish, two sides and bread. The $6.99 dinner special (pictured to the right) buys you four to five pieces of fried fish, two sides and bread. They'll fries any type of fish your heart desires – red snapper, tilapia, catfish, filet of sole – nine different types of fish in total. Personally, my favorite is the catfish, but I do believe when it comes to fish, everyone has his or her own specific preference, so I say go with whatever you already know that you like (and if you’ve never had fried fish before, then go with the catfish for your first time). As for the sides, you can choose from French fries (my favorite), potato salad (my other favorite), macaroni salad, cole slaw, or hush puppies. Let’s go deeper and get into the great stuff. The fish is tasty! Whether fried regularly or hard, it’s always fresh and tender. Its batter, a lovely golden brown, is richly flavorful and speckled with numerous spices. I’m not sure that I’m ready to say that Family Fish Market #2 is the best in Los Angeles because I know that would be larger-than-life shoes to fill, but I will say that out of dozens of fish markets I’ve tested out throughout the decades, this place is certainly up there. So whenever I’m in the mood to pig out on fantastic fried fish that doesn’t sacrifice quality for low prices, I head to Family’s Fish Market #2. I’ll see you in the waiting room there soon! - I highly recommend calling in advance to place an order so that you won’t be waiting for several minutes, bored out of your mind. But if you do get stuck there, you can find some interesting readings on local neighborhood activities and a few products for sale (pictured to the left). - The process: call in, pick it up and enjoy in the comforts of your own home! - Unfortunately, it’s not open on Sundays. 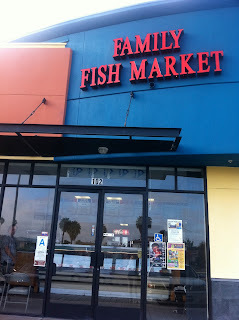 - There’s also the original location, Family Fish Market, in Carson (310.515.5352). I haven’t checked that one out just yet.